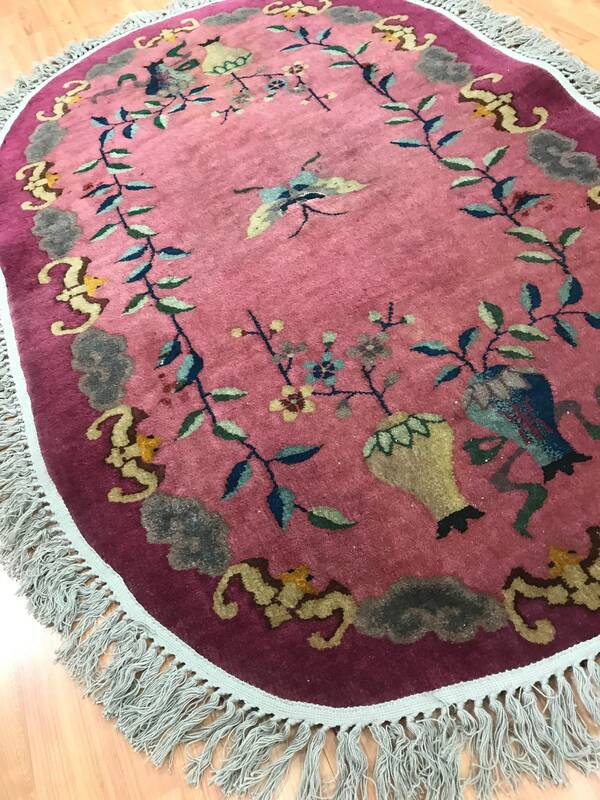 This gorgeous oval Oriental rug is an antique 3' x 5' Chinese Art Deco, circa 1920s. 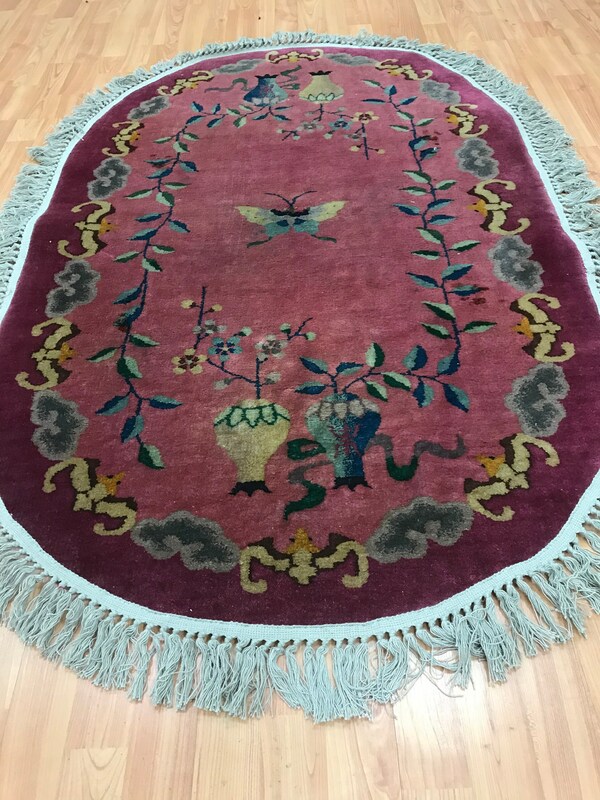 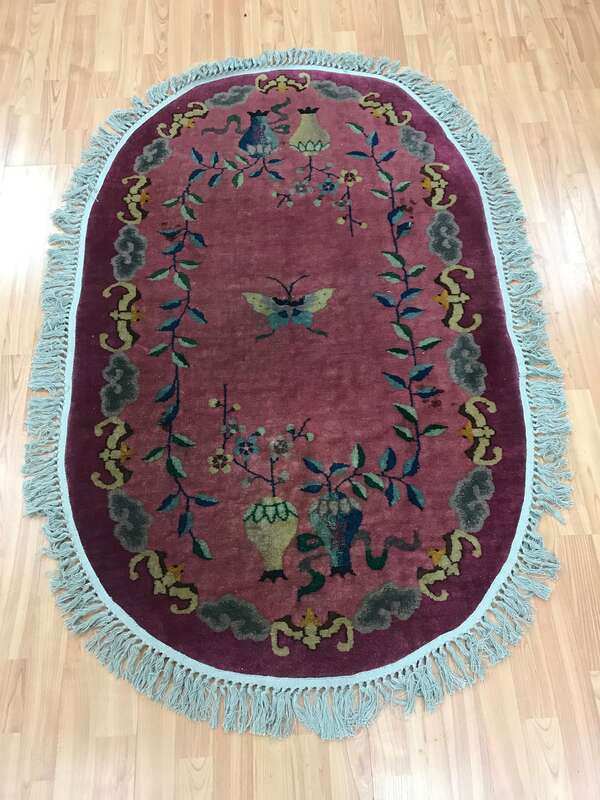 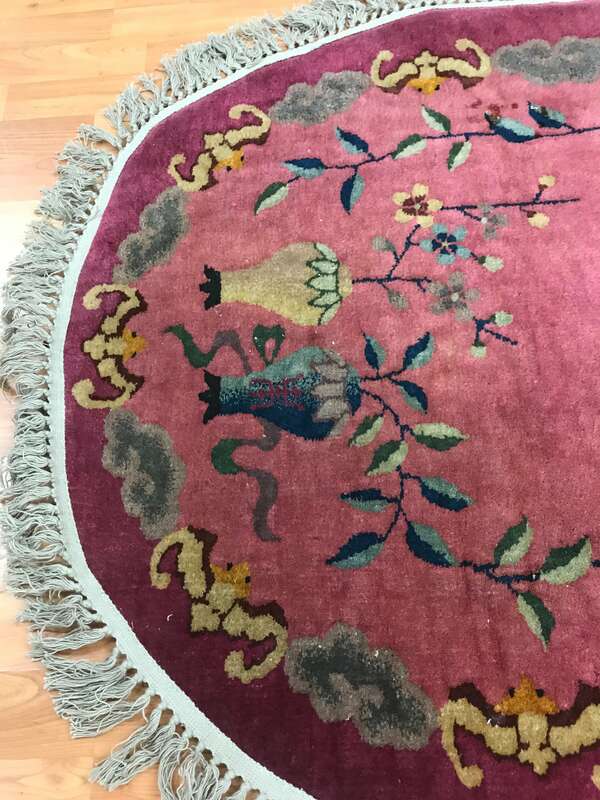 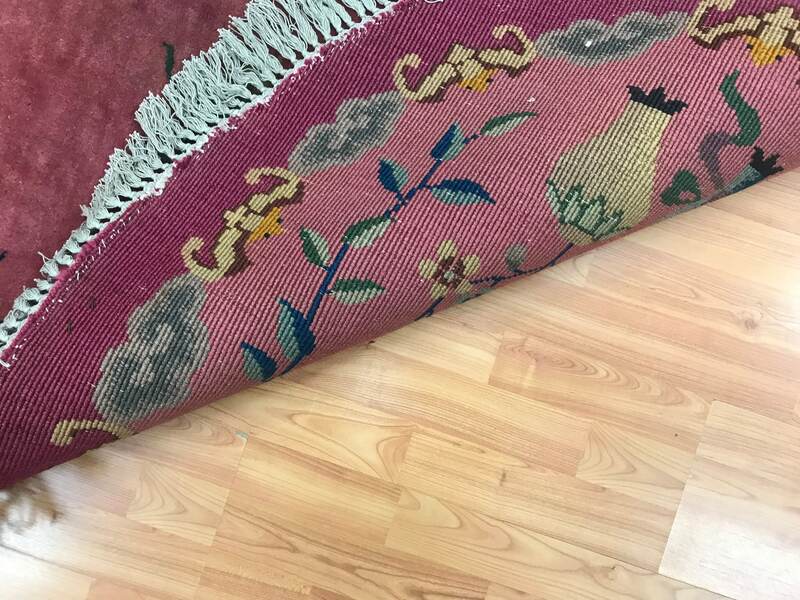 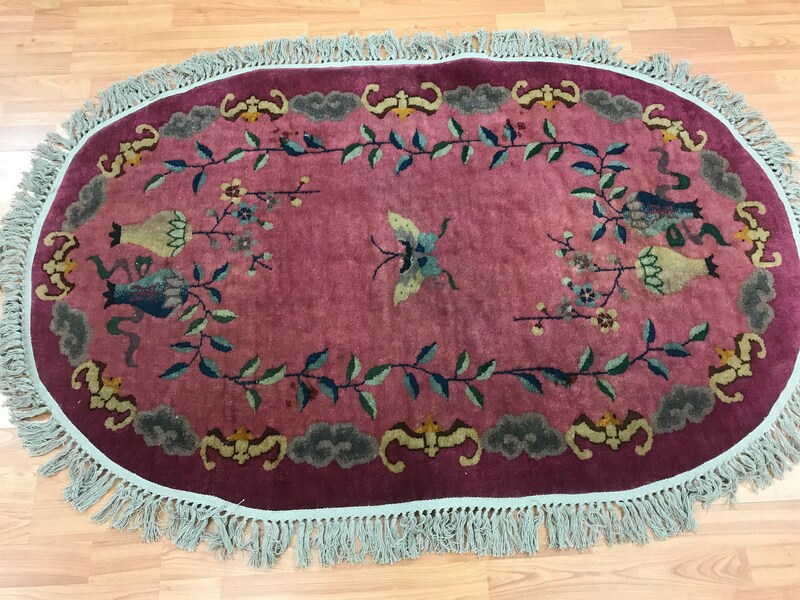 This hand knotted Chinese rug is made with 100% wool and is in good condition. 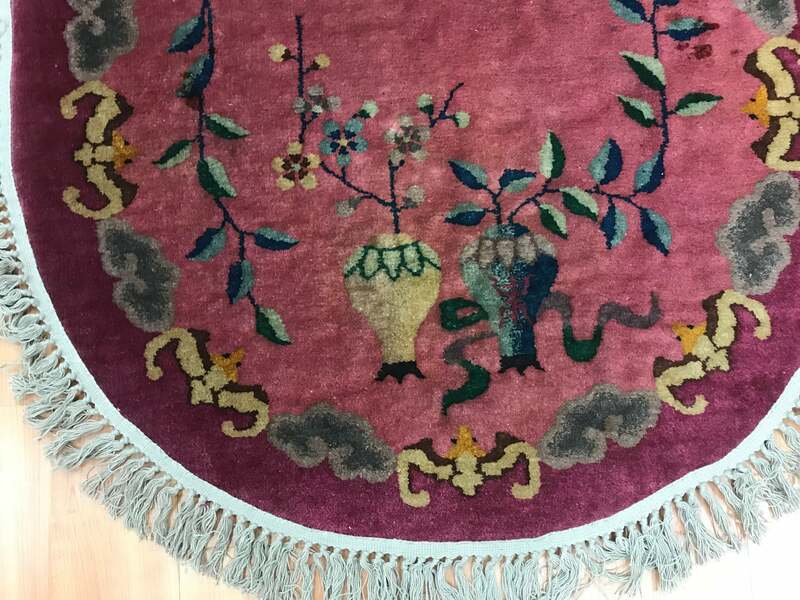 This rug has had a new fringe professionally installed.